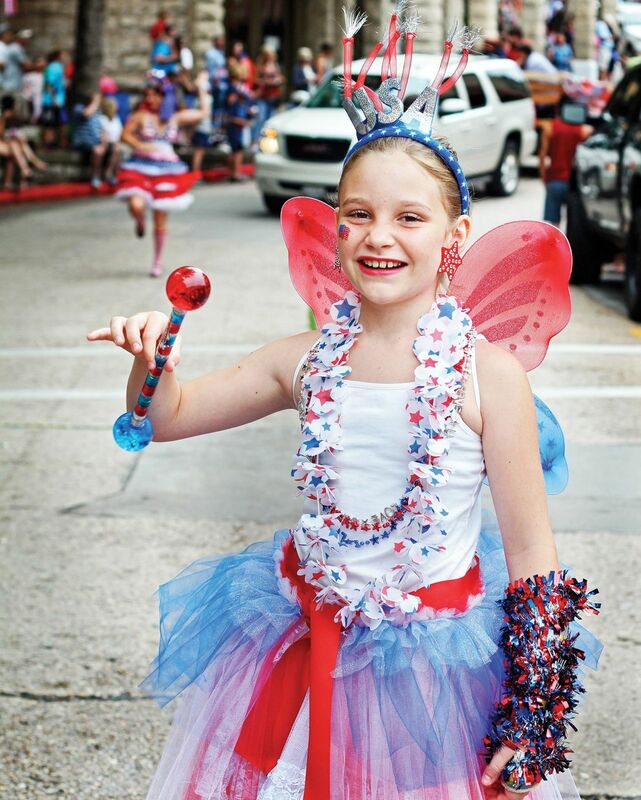 The Eureka Springs Fourth of July Parade is one of the most popular parades of the year, with floats, walkers and furry friends getting in on the fun. 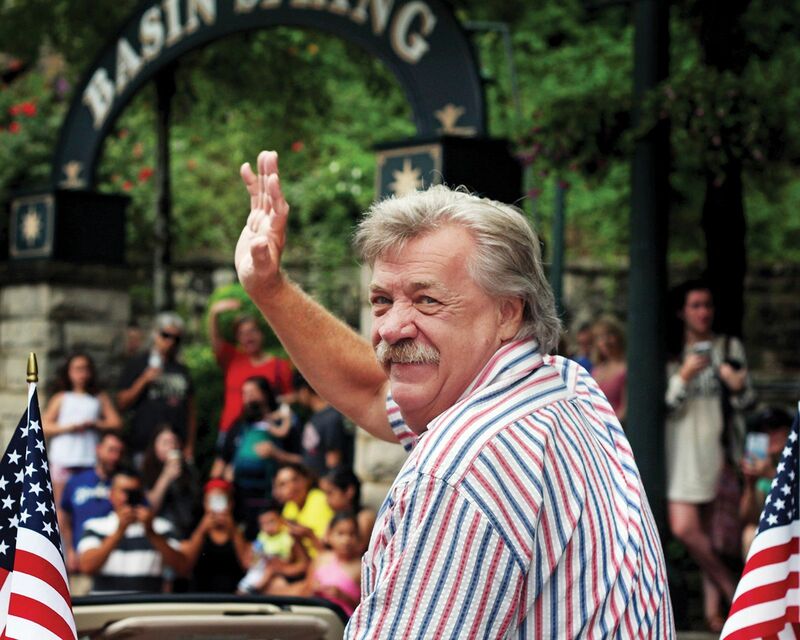 Mayor Butch Berry leads the parade. Sue Glave organized the parade. 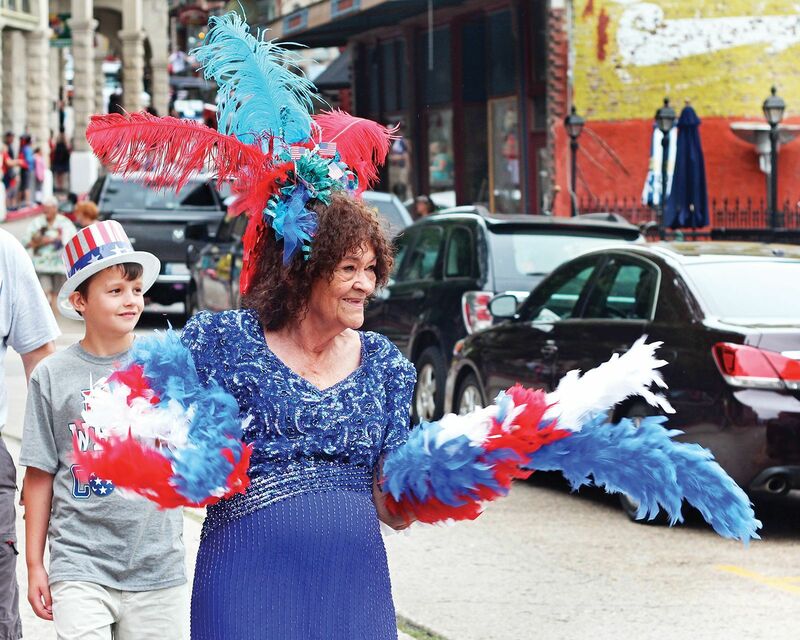 Here, she wishes locals and visitors a happy Fourth of July. 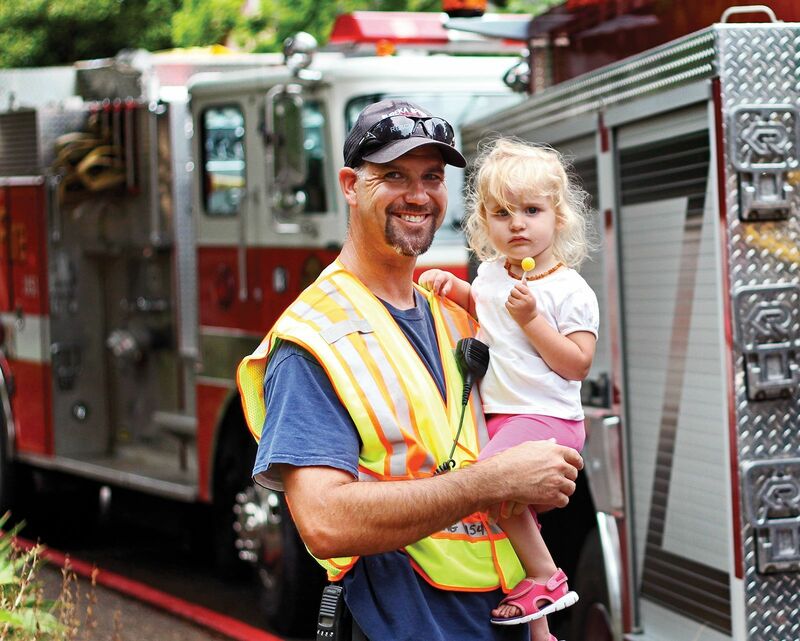 Volunteer firefighter Scott Dignan and his daughter, Kelli, take part in the parade. 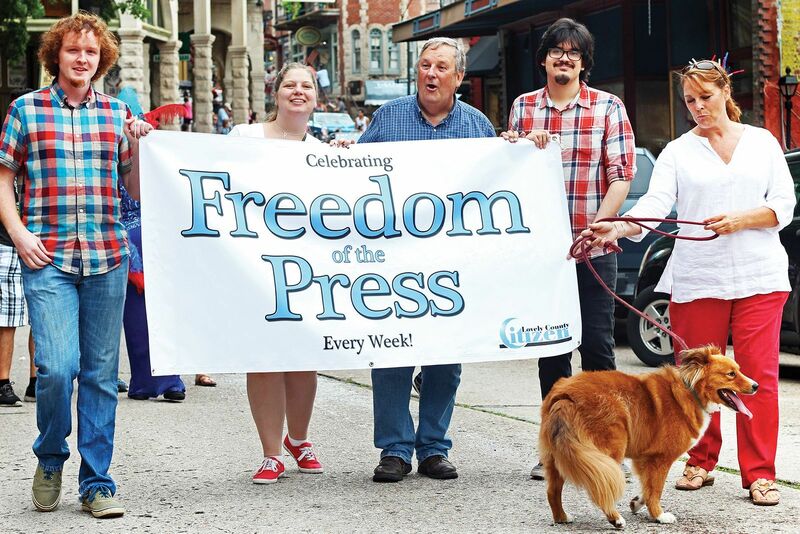 The Lovely County Citizen celebrates the 1st Amendment. Josie, all-American baton twirler, shows off her skills. 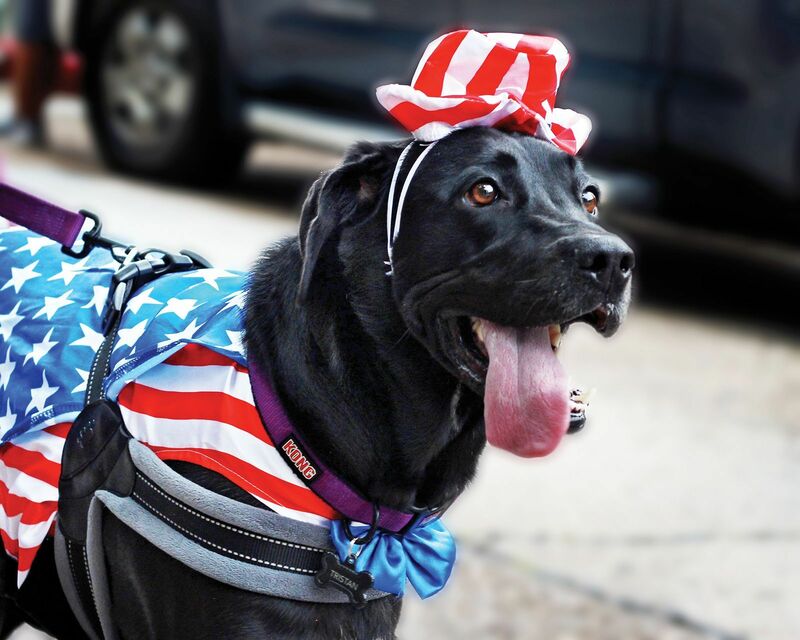 This pooch is paws-itively patriotic. 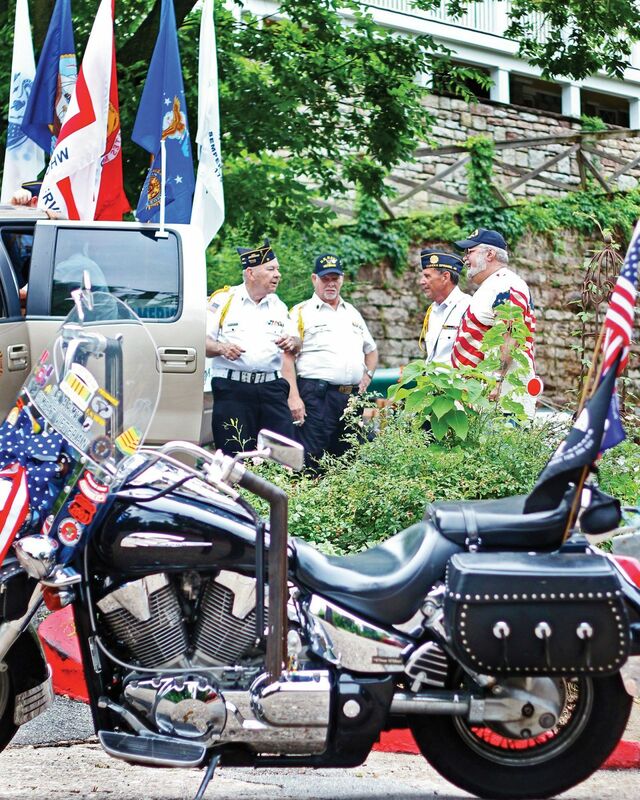 American Legion Post #9 waits for the parade to start.